Ramesh Sapru did his schooling from Cambrian Hall and DAV. After that he completed BA from DAV, PGDBA from Board of Technical Education, Delhi and Ad Man Diploma from Mumbai. Following some management stints, he started working in advertising in 1983 in Mumbai as a copywriter. Advertising is how you communicate value of a product to the end user. 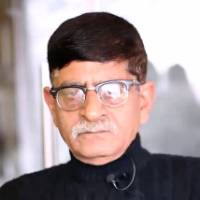 "After completing B A from DAV, PGDBA from Board of Technical Education, Delhi and Ad Man Diploma from Mumbai, I started Advertising in 1983 in Mumbai as a copywriter."